A revolutionary eye and neck cream, with a delicate and pleasant texture, fast absorbing, rich in moisture, relieves tiredness and relaxes. Fights against expression wrinkles and dark shades, assists in the prevention of dryness, provides softness, relaxes and helps set make-up. 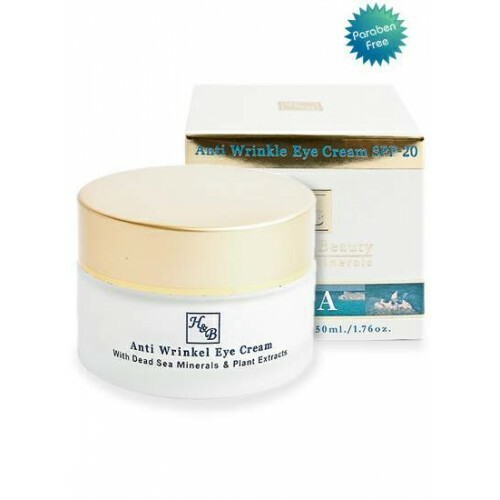 It is suitable for men and women alike seeking the perfect treatment for the area of the eyes, the prevention of small wrinkles and the concealment of puffiness and dark rings by smoothing the area of the eyes. Enriched with Green Tea essence, Sea Buckthorn, Aloe Vera essence, Jojoba oil, Evening Primrose oil, Vitamins C and E and active Dead Sea water minerals. Contains SPF-20 factor for protection against UVA and UVB rays. Usage instructions: in the morning and before going to sleep place a number of drops of the cream on the eyelids and spread gently. Also suitable for the area above the lips.